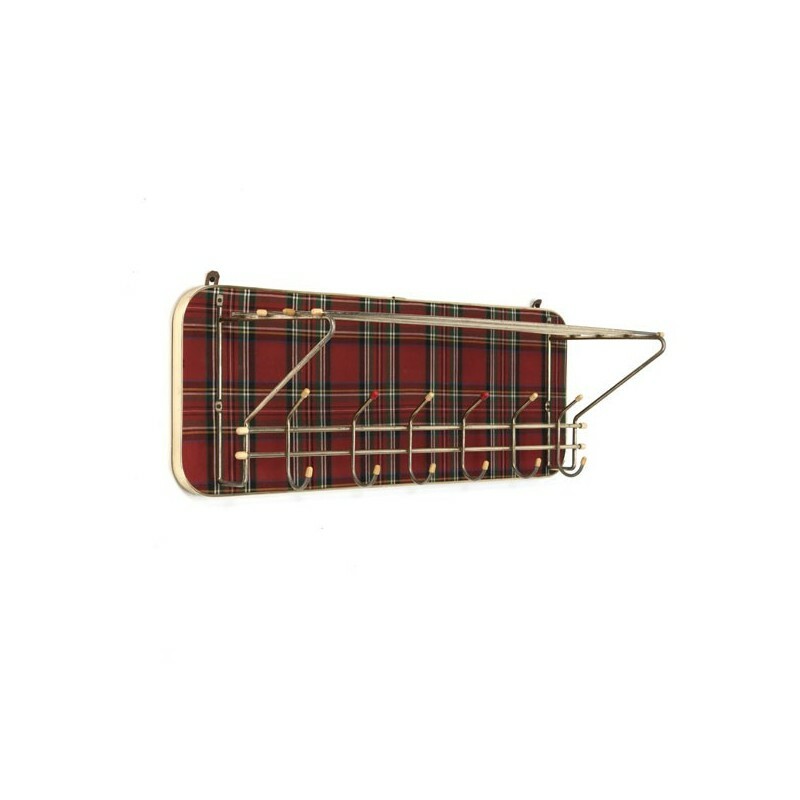 Vintage coat rack from the sixties. 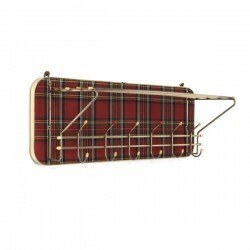 The wall part of the coat rack has a tartan lining and the parcel shelf and hooks are brass-colored metal. 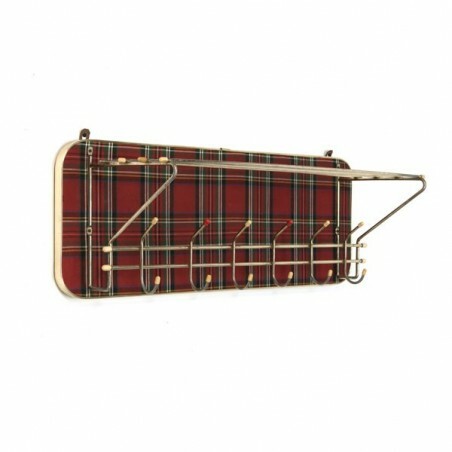 The condition is fairly good given it's age, light wear, see detailed pictures. The dimension is 70.5 cm L / 23,5 cm D/ 25,5 cm H.